CFA says Bank says Franchises 4 times more successful? McLachlan said that a recent study released by BMO [Bank of Montreal] indicated that nearly four times as many franchises succeed compared to independent small business. The full article can be found at The Sudbury Star. Knowledgeable scholars who study franchising issues routinely express contempt for the failure rate statistics publicized by franchisors. Francine Lafontaine, for example, states ‘one of the major selling points of franchising to franchisees over the years has been the statistics vehiculated by the trade press on the very low failure rates of franchised businesses compared to independent operations. These statistics never had real scientific basis’ (p. 14, 1994). Such criticism does not deter the industry. 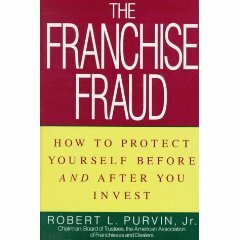 — Survival Patterns among Franchisee and Nonfranchised firms started in 1986 and 1987, U.S. Department of Commerce, p. 6. I am unaware of any study since that time that would contradict this. BMO Bank of Montreal: I had telephone conversation with Steve Iskierski, Senior Manager, National Franchising Services for BMO Bank of Montreal. Iskierski was unaware of the basis for this 4 times notion and their is certainly no study that he is aware that BMO has. He was unclear as to why Ms. McLachlan of the CFA would quote that figure and ascribed it to reporter misquotation. Canadian Franchise Association: Emailed for copy of report. No response. The Sudbury Star: Left a message for Janice Leuschen. No response.